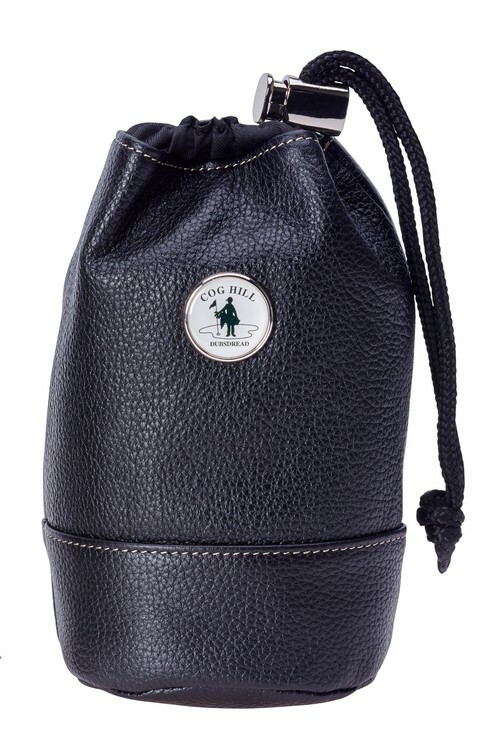 Supple black leather with nylon liner divided to protect jewelry and other valuables. Includes stylish contrast stitching and bucket bottom with drawstring closure. • Available in faux Leather.